Spatial analysis of prestressed composite steel-concrete two-way slab with nonlinear finite element method. Abstract: Prestressed composite steel-concrete beams have such advantages as large stiffness, high strength and good ductility. And the stiffness and strength of slab can be improved much more if letting the composite beams cross each other to buildup tow-way slab. 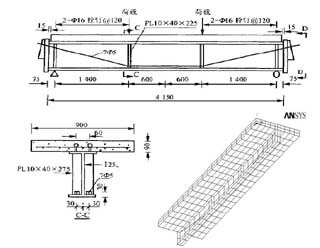 Nonlinear finite element analysis for the prestressed composite steel-concrete slabs is presented in this paper. The steel beams are placed under the concrete in one-way or two-way respectively to compare the difference. The influence of prestressed cables on the steel beams is discussed, too. 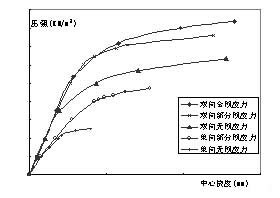 The numerical results show that the strength of two-way composite slab can be improved about 133%, while the stiffness can be improved about 66%, which are compared with the one-way slabs. And the strength can be improved more if the prestressed cables are installed. It shows that the two-way composite slab is a new structure with good future.